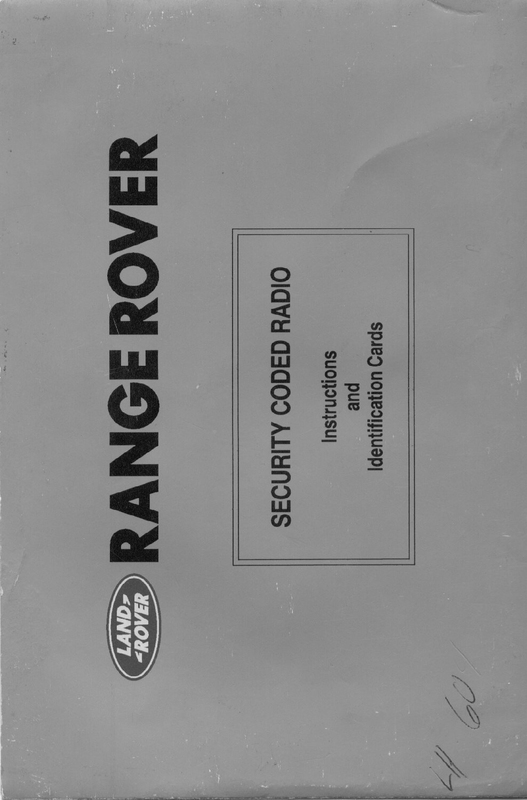 In my 1992 Range Rover the factory LR OEM remote entry receiver is located under the coin tray in the dash, if you remove the foam rubber it will be there, held in place with velcro. I cannot find any wiring info on this unit, I had to figure out a few wires the hard way, but if anyone has it... please send, thanks. It is made in Japan, and has an "Alpine" chip inside. I replaced the OEM unit with an aftermarket piece, and used the existing wiring for locks and and parking light flashing upon arm/disarm. I haven't' yet bothered with the underhood horn, as I don't really want an alarm, just the remote entry. In order to remove my LR OEM remote entry unit I had to cut two notches in the plastic dash ledge that the coin tray sits on. Don't worry, the coin tray will hide the notches. My new alarm unit was much smaller and slipped in very easily. LED: I just hooked up the existing LED to the new alarm system, it worked fine. Since I don't know what alarm system you have, I'll just tell you how to use the wires above, then you can integrate them into your own alarm/remote entry. If you GROUND the Yellow/Org wire, the doors will UNLOCK. If you GROUND the Red/Wht wire, the doors LOCK, if you GROUND the Yellow wire, the parking lights will come ON, you will hear a relay click behind the dash in front of the passenger (NAS) seat. Your new alarm instructions may say something like "ground pulsed, or negative pulsed output". Again: If anyone has all these wires figured out, please send. I don't see the unit in my ETM or Manual. 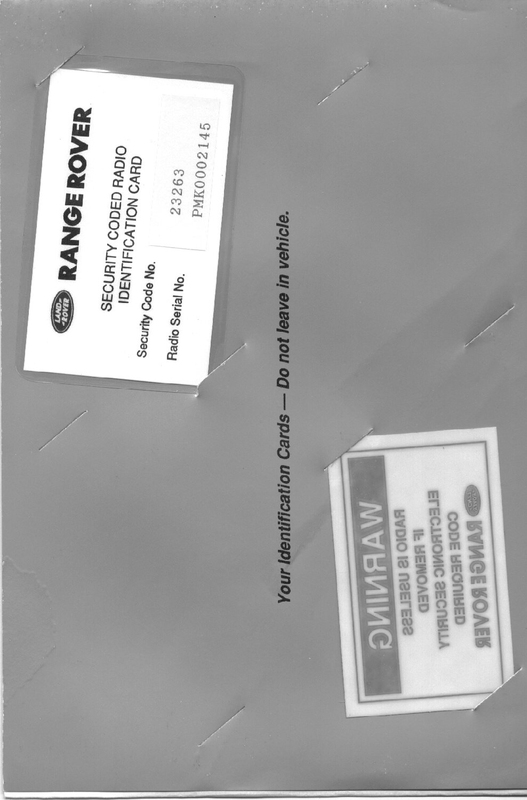 Here is some info on how you could wire a generic alarm system or remote unlock into your RR. This method doesn't utilize the LR remote receiver wiring, if equipped, but goes directly to the appropriate signal paths. Thanks again Ali, John posted your diagram on his web site this morning and I immediately used it to successfully remotely activate my door locks. The only variation to your instructions (perhaps due to left hand right hand drive differences), is the location of "red/white=lock" "yellow orange=unlock" wires. 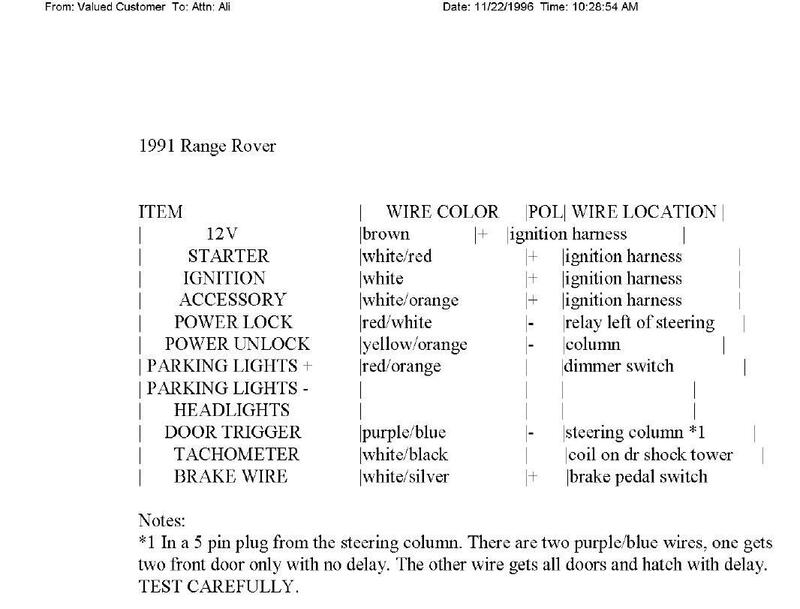 The wires can be traced to the KIEKERT central control unit next to the steering column. The two wires are on the front row of the main Kiekert plug, one on the far left and one the far right. As shown on your instructions the trigger is a negative pulse for both lock and unlock. 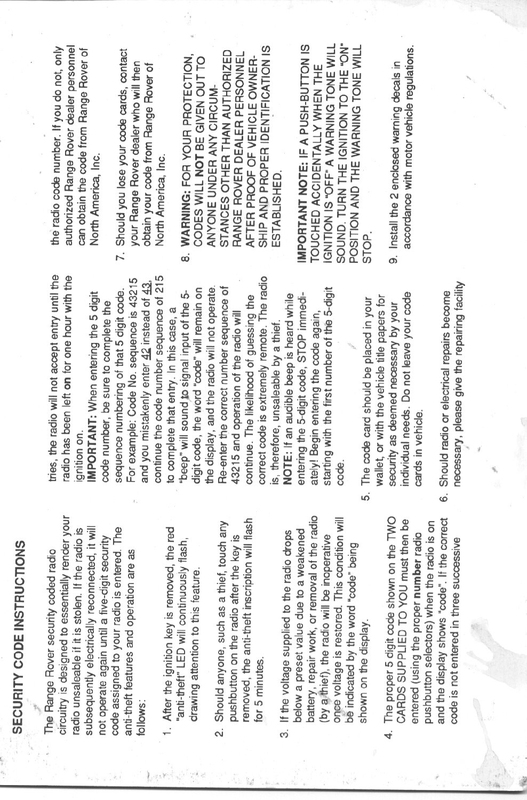 I commenced by running the central locking unit voltage tests as recommended in most of the installations manuals available on the "Bulldog Site". So that I could first confirm that I was not going to sent a lethal voltage to the Kiekert unit. Once I was happy with the results, I connected the unlock circuit, which worked, then I added the lock connection. Those that might wish to follow these instructions should perhaps wait for my advice on its resounding success after a week's usage. Cheers and thanks once more!